I understand why someone living in the city might get a slice of pizza - they don't want to carry a box of pizza back to the office, and there is something nice about sitting down and having a quick bite. But I have never understood why anyone buys a medium pizza, much less a small. If you understand what a circle is, and you understand what a dollar is, it makes no sense. First, the dollar. The economics should be obvious; like buying any food in bulk, you can see there are fixed costs. A small pizza or a large has someone making it, it has an oven in a shop. Those costs are fixed regardless of which pizza you get. The actual ingredient differences between a small and a large are not a big cost. Second, the circle. 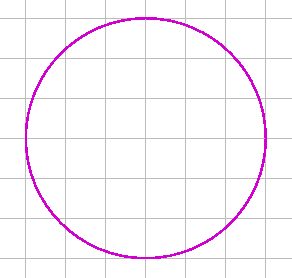 The area of a circle is pi times the radius squared. If you double the radius, it isn't slightly more pizza, it is 4X the pizza. If you did not pay 4X the prize, you are leaving money - and leftover pizza - on the table. Math schmath, what does the real world tell us? Quoctrung Bui at NPR wondered also, and did a lot more than link to two circles. Bui tabulated 74,476 prices from 3,678 pizza places around the country and made a handy little slider based on the results. If you get an 18 inch pizza, the slider shows us, you will spend around $19. But to get the same area of pizza buying smalls, you would have to spend almost $42. Obviously there are other reasons not to buy the larger pizza - carrying a box back to the office, for example, or you are some kind of pizza junkie and will eat it all at once. And if you are going to the kind of pizza place that stretches the same pizza dough into a bigger shape and makes the toppings thinner when you order the larger size, well, you shouldn't be going there at all. Weekend Science: Will Your Beer Survive A Nuclear Blast?